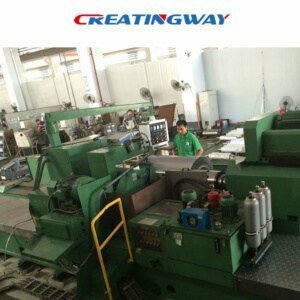 2 sets grinding machines under 0.005mm tight tolerance. We will have to check out the whole parts specification including overall size, material, finishing, assembly and packaging ete. Coating of hard chrome for parts to ensure whole parts surface with coating. How to have cost reduction and ensure parts cost is reasonable and competitive. We can further discuss and communicate with customers on these to have cost reduction before production, this will be very helpful to both each other. As usually, most of factory have produced similar parts with #45 steel, but we are rich experience on these stainless steel with coating hard chrome process, this will be very technical machining manufacturer as your partner, we have imported to all over the world like Spain, Norway, French, Canada, USA etc, we have been built very good relationship with our customers, and get their valued reputations, Creatingway is desired to make your partner, you can start an easy projects now, we will make your comfortable.